General Motors Co.’s customer care and aftersales division today announced the launch of the GM Collision Repair Network at NACE Automechanika Atlanta, a trade show dedicated to the automotive collision industry. The network is designed to help drive customer safety, customer satisfaction, and strong results for dealers and independent collision repair facilities. “We put the customer at the center when we designed the GM Collision Repair Network because for them, nothing is more important than knowing they can trust in the safety and integrity of their vehicle when it leaves the repair facility,” says John Eck, collision manager of GM customer care and aftersales. For dealerships and independent collision repair facilities, the new Collision Repair Network will build on GM’s current training and tools-focused programs, while adding standards for pre- and post-repair scanning, repair procedures, calibration, and overall repair. 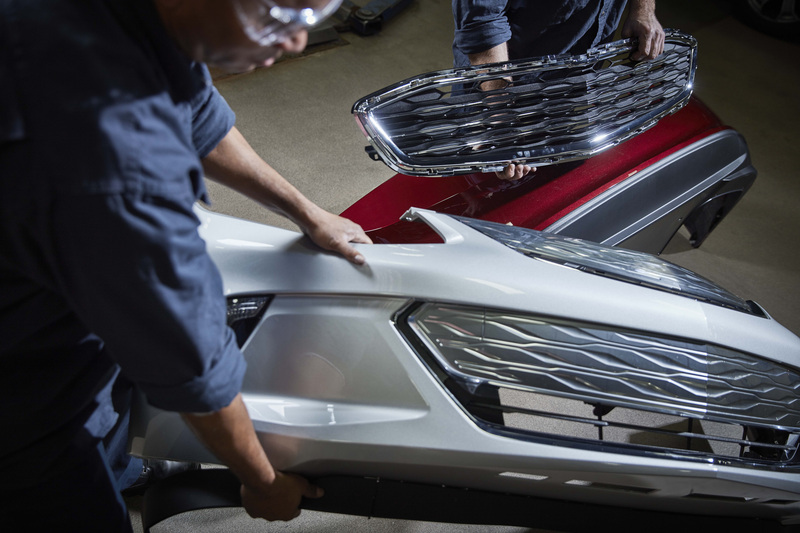 Repair facilities in the network should experience a more streamlined collision repair process, including reduced time spent on diagnosing and pulling repair procedures, the automaker reports.